Moving onto Ripple, which has now climbed to #2 in the world. Yet I think the Ripple tokens (XRP) are shitcoins, and I'm not alone on this. Read on for my analysis. The funny thing is, most of the people who have been in crypto the longest are almost absolutely anti-XRP. But if you ask the fanboys and the fangirls...they're often the newbies, who will tell you that XRP is the next Bitcoin in making, only better. Note: If you don't understand crypto speak, first check out this post and then come back here. Why did YOU buy XRP? 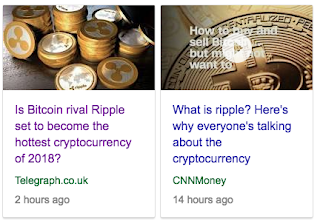 Mainstream media continues to shill and mislead by calling Ripple the "Bitcoin rival", perhaps for clickbait. That's an insult to Bitcoin if I ever heard any. Ripple caught my attention much earlier last year, after I saw on CNBC that it rose a spectacular 4000% to finish the first half of 2017. At that time, XRP's price was $0.23 when I first started studying it, but eventually decided not to buy because it is a shitcoin. Well, XRP is $2.90 today. Earlier in November, I shared with a few friends that I believed XRP would rise because people won't understand, or perhaps won't be bothered to try and understand XRP from beyond all the shilling that they read online and on the mass media. And then there'll be a crash after these people wake up and realise the gap and these glaring red flags. I hope you won't be one of them. 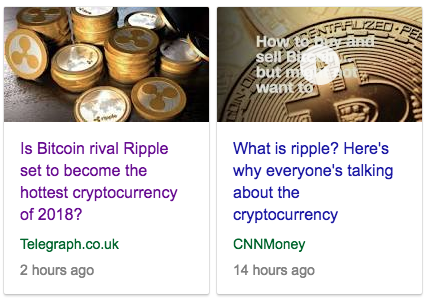 I might be wrong, and I'm open to being corrected, but so far no proponent of Ripple has ever been able to convince me otherwise. Why didn't I buy it at $0.23? Because I don't believe in investing in shitcoins. Go ahead and trade them if you will, but when a crash comes, mark my words that the fundamentally strong coins will survive while the weak ones will get weeded out by the market. But what do I know? I can't predict the future, and I'm just a girl blabbing online. So do your own homework and make up your own mind. But since a few readers have requested for me to write on WHY I think XRP is a shitcoin, here are my thoughts. It'll be helpful to start with an analogy. Someone shared this earlier today and I thought it was really apt, so I'm passing it on here. But unlike how you can buy the shares of Apple to benefit from their growth (which I did), you cannot buy the shares of Ripple. You can only buy their tokens, which can be used in their system. Note that the tokens do not give you any share of the profits that Ripple makes, unlike Apple shares. If you're happy buying iPhones because you believe its value will go up, go ahead and buy XRP for all you want. The ex-founder is holding tons and tons of it. The system is centralized, which goes against crypto's vision of decentralization. Most people don't understand that Ripple's technology is not dependent on the token. I repeat, you do not need to use XRP tokens in the Ripple system. This is where some XRP fans step in and argue, but using XRP tokens will give the banks greater cost savings! Sureeeeeeeeee, but the banks aren't using it. XRP's valuation at $117 billion is downright ridiculous when the tokens aren't even needed to use the software and no one is using it anyway. In fact, banks can actually create their own tokens to be used in Ripple's system. What's so hard about that when you can literally do it in minutes? Just take a look at how one guy created his own coins that easily here. Also, here's DBS about to launch their own digital coin through their off-shore subsidiary bank. Can those coins be processed on RippleNet? I sure bet they can. Decentralized. 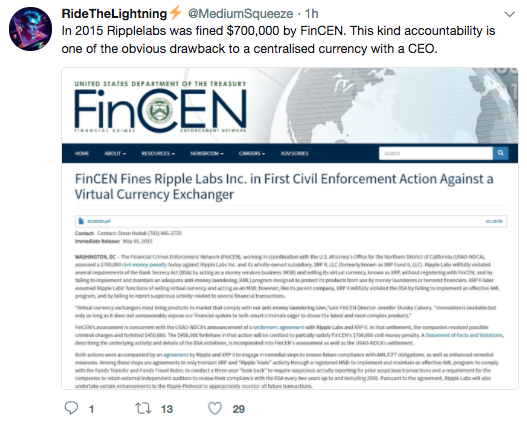 What was Ripple again? Oh, centralized. Rightttttttttt. Most of the nodes that are being run right now are owned by Ripple, and the majority of Ripple tokens are held by their founders. Rightttttttttttttttttttt. So, should you still buy XRP? Or sell the XRP tokens you bought without realising this major red flag? Those are questions only you can answer. While I label it as a shitcoin, there's no denying that it has gone up exponentially in recent months, and you would have grown disgustingly rich if you had bought it earlier. In the meantime, I'm just waiting for a massive crash to happen once all the buyers who had FOMO-ed into XRP realise what a big mistake they've made. But who knows whether that crash will come? After all, humans believed the Earth was flat for the longest time until someone successfully sent a spaceship into outerspace and proved otherwise. I think it is a scandal that XRP is #2 instead of ETH, and am waiting for it to be dethroned so ETH can be back in its rightful place where it belongs. But no matter what happens to XRP, you can be sure I'll be watching on the sidelines. 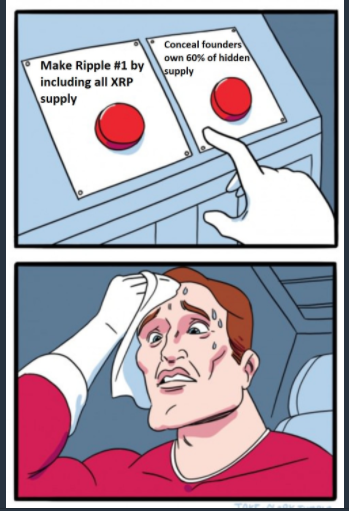 I've got no love for XRP. Great information and insights here. Thanks! 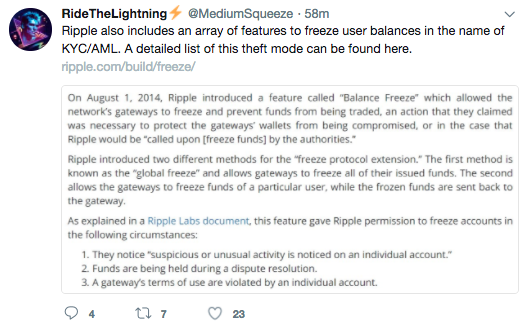 Funny, I got alerted of your comment about me getting it wrong regarding Ripple being centralized, and came in to tell you that I'm open to being corrected, only to find out that you've deleted your own comment. Why?